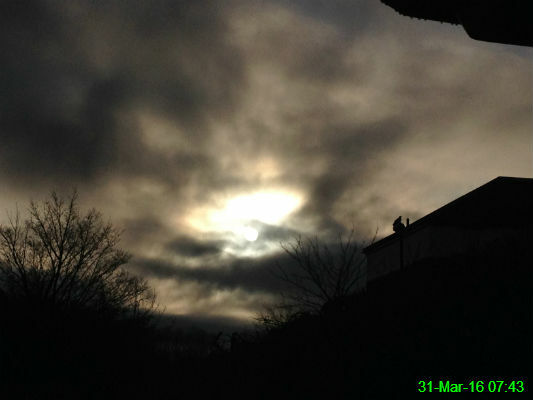 These clouds look rather severe, but I can assure you it was quite a nice morning and the colours are just a result of trying to take a photo of the sun (not recommended) with an ageing iPhone! 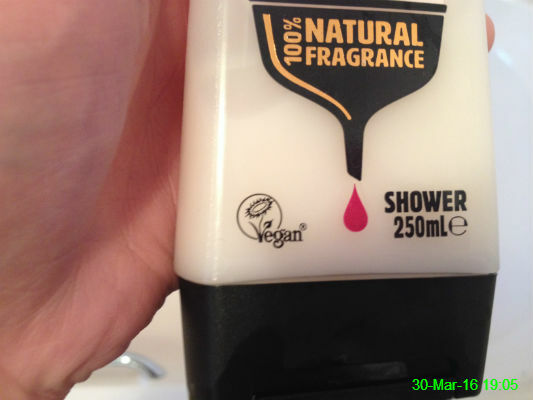 My shower gel is vegan. It freaked me out so much I had to eat some chicken. I promise that my hand only looks like it belongs to a wrinkly old woman because I'd just come out of the bath! 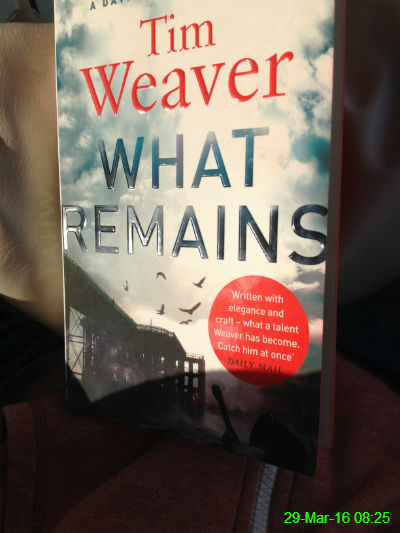 I've been looking forward to reading this book, which I got for Christmas, and so far it's proving to be a bit of a page turner so I don't think it will take me long to get through. 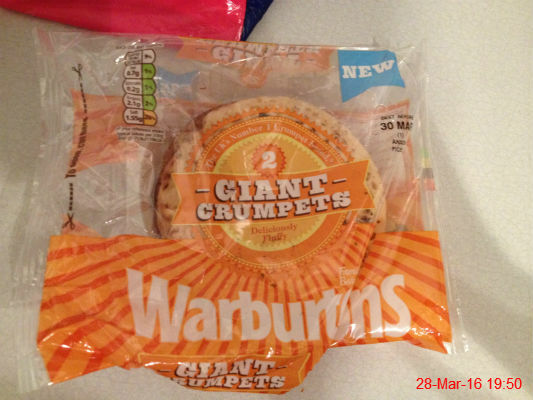 I rounded off a long weekend of overeating with this giant crumpet. 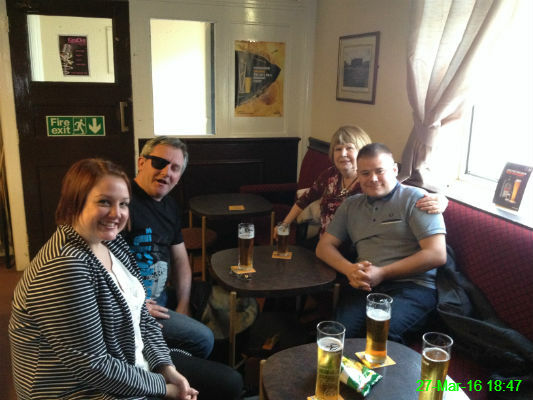 I went for drinks on Shields Road with Ali, Meerkat, Kathy and Michael. This was in the Grace Inn. If you're wondering what Meerkat is up to with half a set of sunglasses, it was something random I found in my bag that I'd picked up in Hamburg! 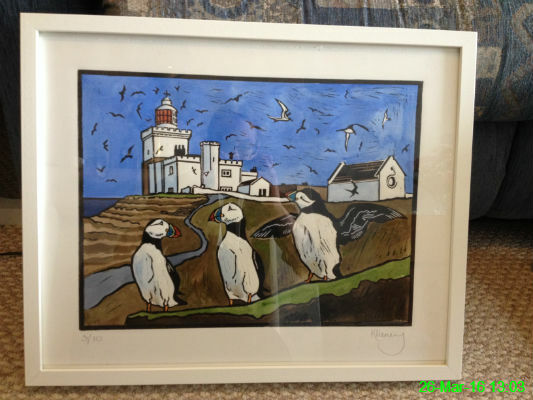 Mam and Chris were in Amble yesterday and bought this awesome picture of Coquet Island. Going on a boat trip around the island to look at puffins has gone straight to the top of my "to do" list! 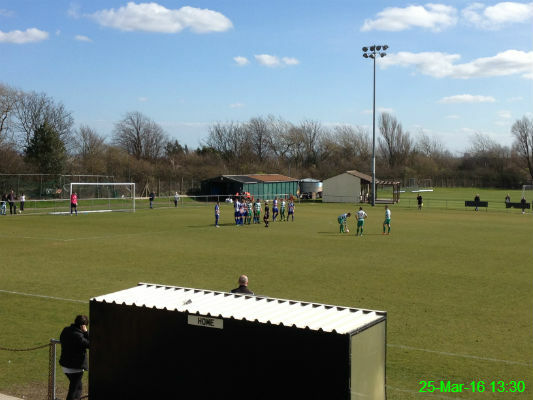 West Allotment Celtic set up a free kick in their 3-2 home win over Whitley Bay. 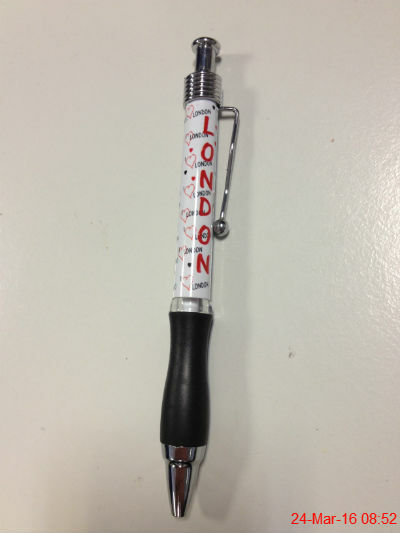 Olwyn has recently spent a few days in London so she brought me back a pen to add to my collection. This is the kitchen on my floor at work. 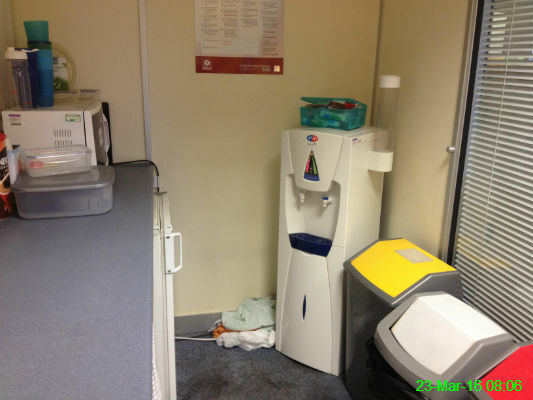 It has everything we need (fridge, microwave, water machine, kettle, sink) but I dread to think what might be growing in that carpet. 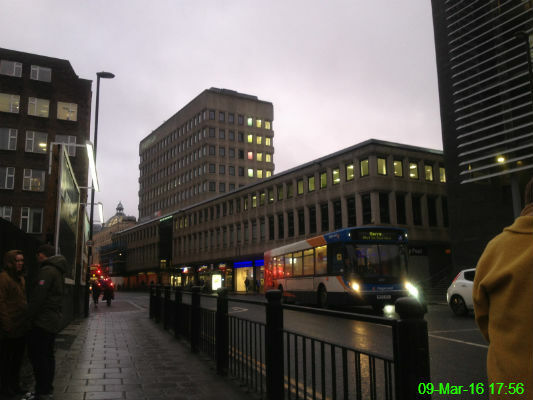 I walked home from work, taking a slightly longer route than usual. 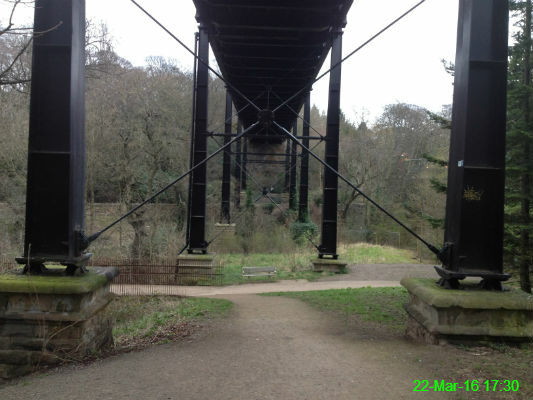 It took me through Jesmond Dene so I walked underneath Armstrong Bridge instead of over it, for a change. 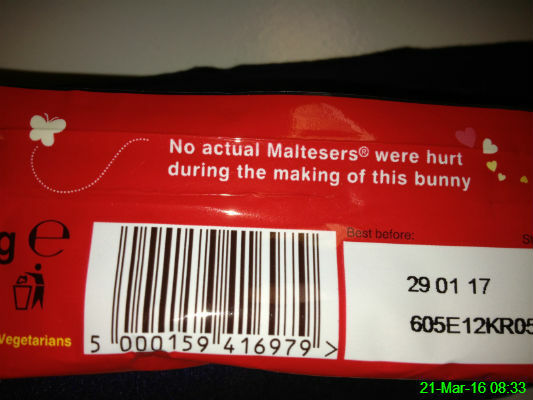 I bought a bunny shaped Malteser bar and was pleased to see no harm was done! 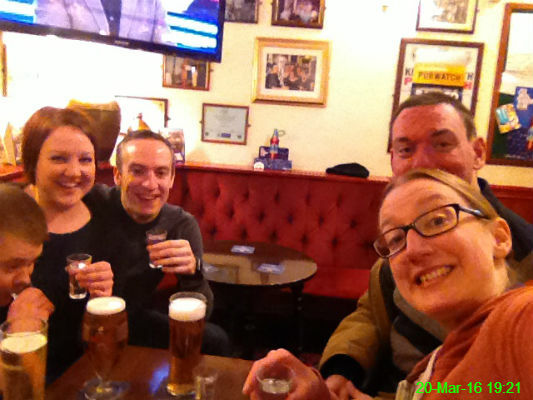 I celebrated a derby day 1-1 draw with Michael, Ali, Matty and Stu and a round of sambucas. Another Saturday afternoon watching non-league football. 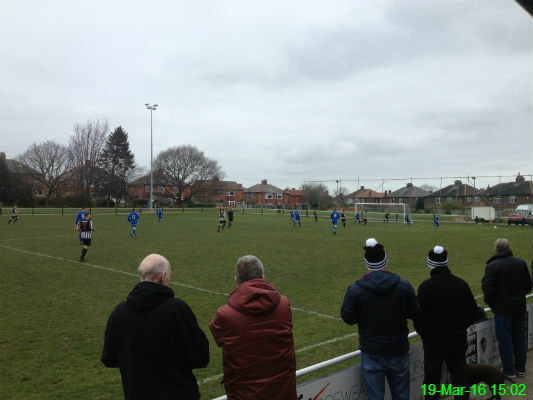 This time it was Heaton Stannington, who beat Stokesley 3-1 as the day got progressively colder. Note the club dog, Heaton Stan Harry, in the bottom right corner! 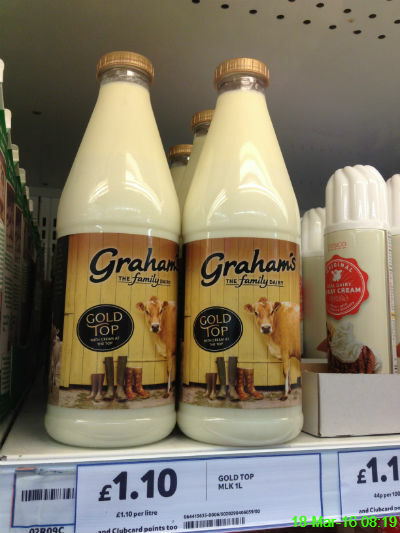 Something else I've never heard of before - this brand of milk. I find the cow a little frightening, if I'm honest. 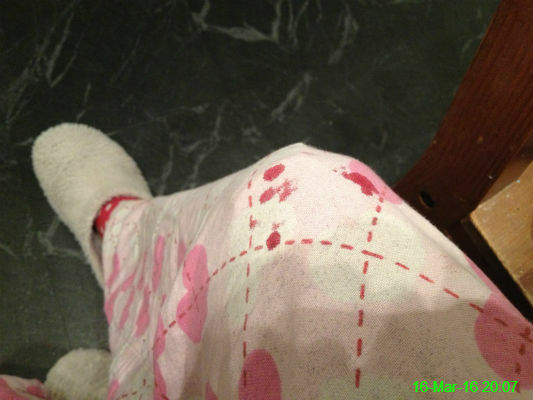 I cut my knee shaving and assumed it would stop bleeding on its own. I was wrong. 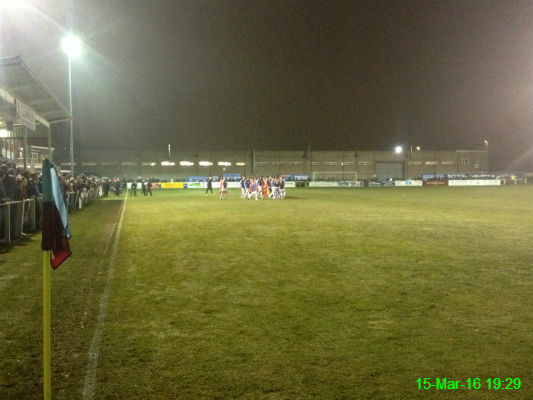 We went to watch a cup match between South Shields and North Shields. I don't usually support North Shields but I was happy to cheer them on against their rivals from south of the water. It must've worked since North Shields won 3-0 despite a valiant attempt at a second half come back by the home team. 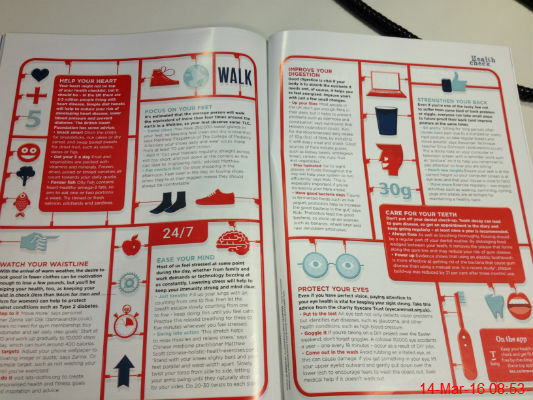 I leafed through a free magazine from Tesco and particularly liked this section on health. 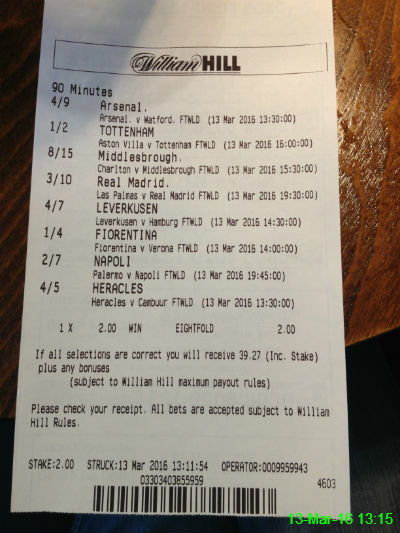 I gave Michael �and sent him to the bookies to put a bet on for us, in an attempt to win big. A return of � wasn't quite what I had in mind, and in any event Arsenal let us down at the first hurdle by losing! 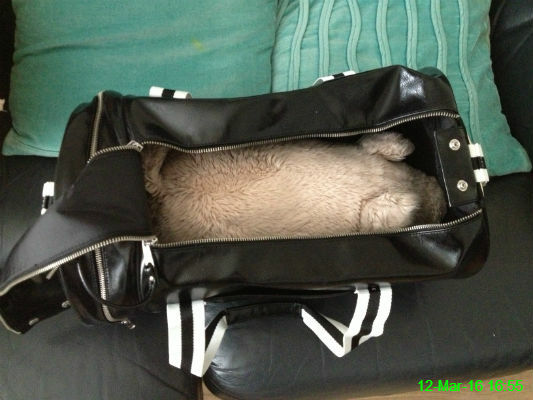 Michael bought a new Fred Perry bag and padded it out by putting Muddy inside. 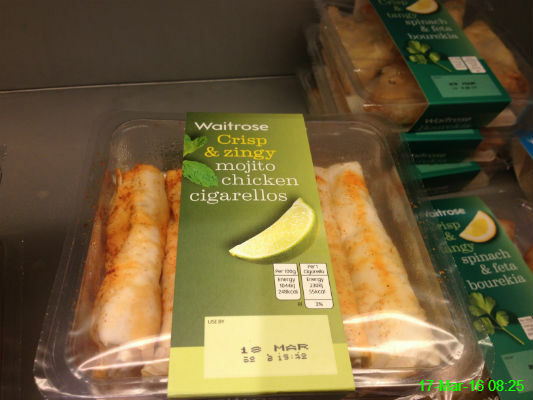 I was not impressed! 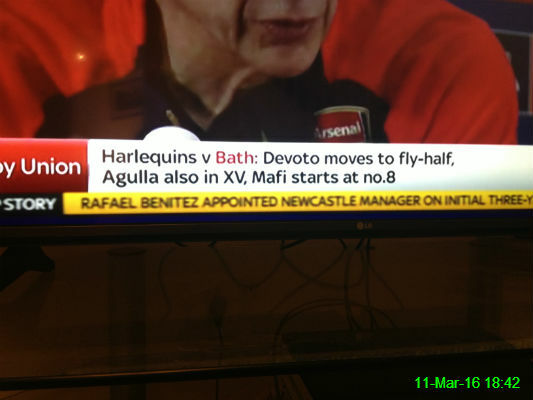 Having eventually sacked the underperforming Steve McClaren, Newcastle appoint Rafa Benitez as manager. It's good news as far as I'm concerned, but I think it could be too late to avoid relegation. 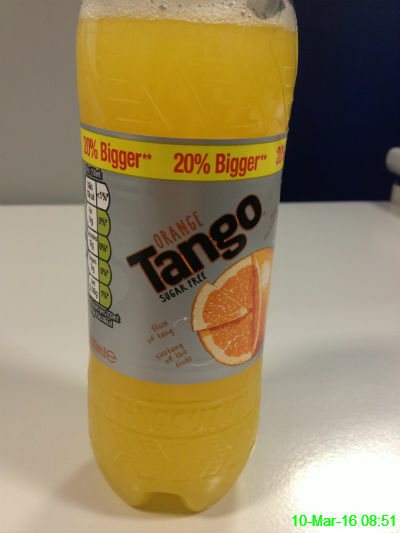 I fancied a different kind of pop this morning and I hadn't had this for ages. It was nice to leave the gym and see a much lighter evening than this time last week. 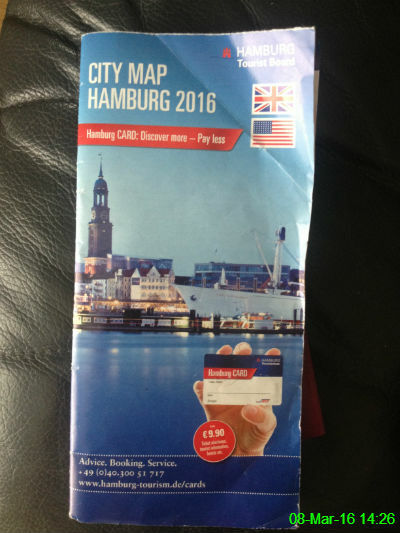 This came in handy for finding our way around the city centre. 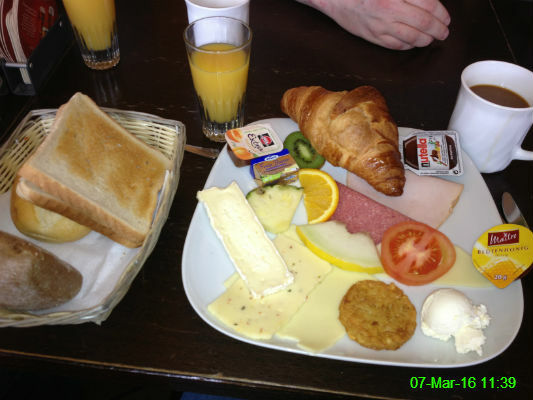 I ordered a typical German brunch from Frank und Frei, which was great value and very filling (the two bread rolls on the left were also part of my meal). Amazingly, I even drank the coffee. 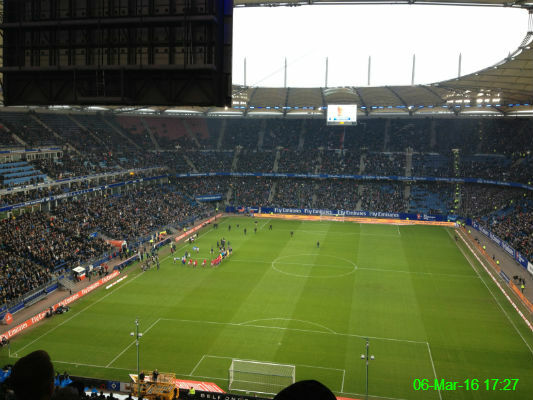 We visited the Volksparkstadion to see Hamburger SV beat Hertha BSC 2-0. I'm not having much luck with my football teams at the moment! 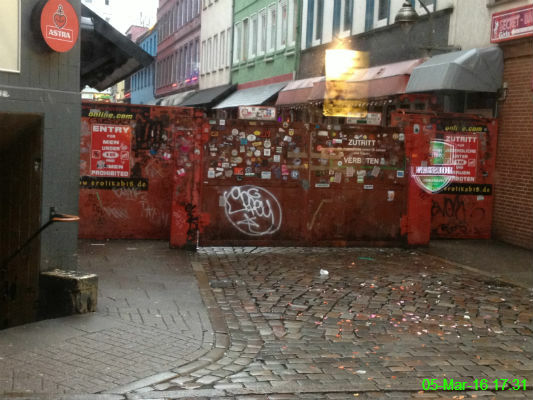 Herbertstra遝 in Hamburg is notorious for prostitution, so women and under 18s aren't allowed to enter. I didn't have any great desire to do so anyway! 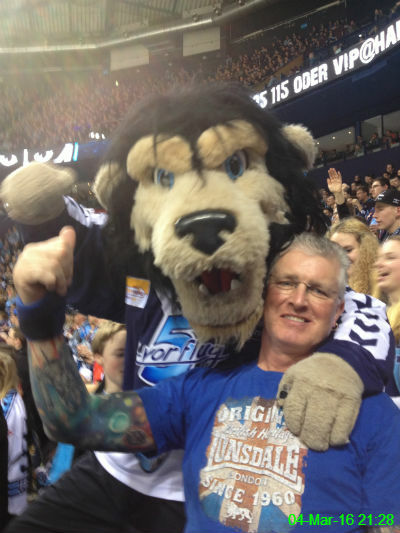 Big Ron got a bit of a fright at the ice hockey when the mascot for the Hamburg Freezers came into the crowd and appeared behind him. The team lost the game 5-2 to the Iserlohn Roosters. We spent our first night in Hamburg looking around the local area. 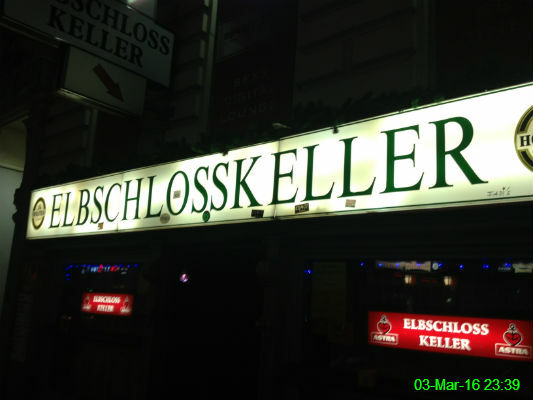 This turned out to be the biggest dive bar we came across. It was the sort of place which makes a drink at the Bigg Market Beehive seem like afternoon tea at the Ritz. So obviously I took a photo to remind us to go back in! 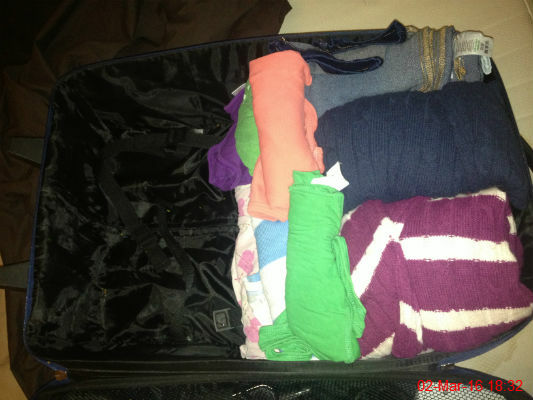 I'm just about finished packing my clothes for the weekend and I've even left some space in the suitcase for Michael's stuff! 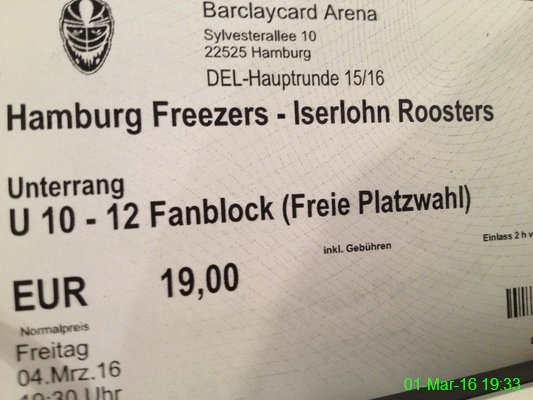 As well as the football, we also have tickets for an ice hockey match while we're away, since the one we went to in Berlin was so much fun.